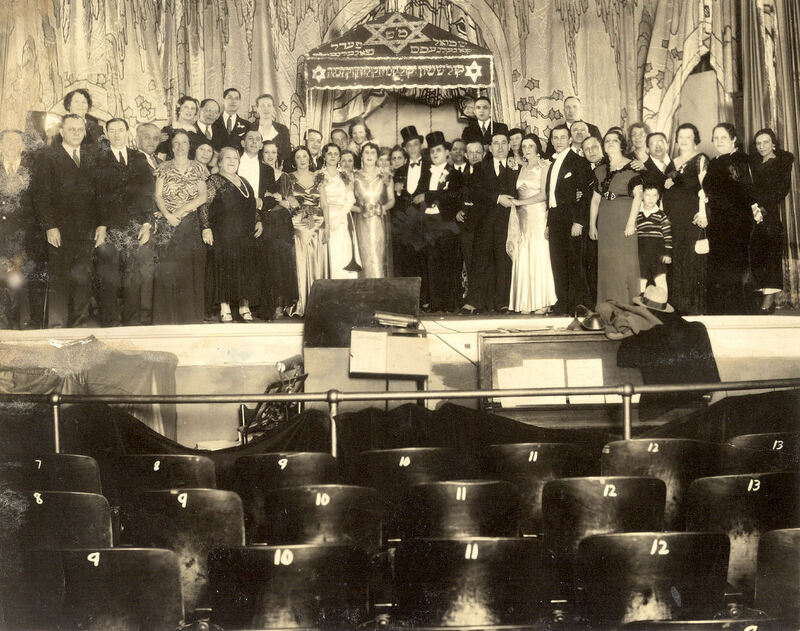 Actor Harry Jordan (wearing a tuxedo) is standing in the first row above the date and just next to the large lady wearing pearls. Her name is Dora Weissman. Goldie Young, a friend of Harry Jordan and his wife, is standing to the right of Harry. Sam and Pauline Fogelnest are in the front row, though they cannot be specifically located.